Peng Chau is an island lying east of Lantau Island. 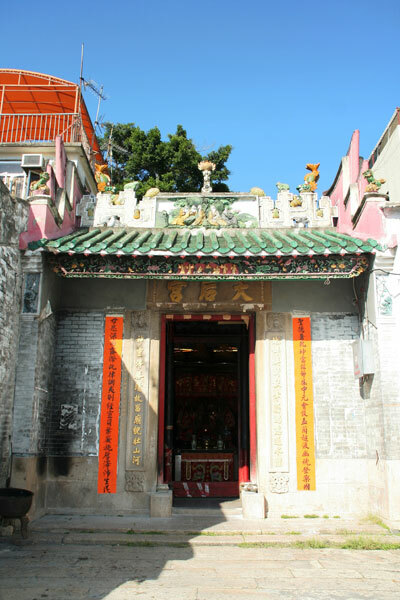 It was a fishing village where people built the Tin Hau Temple to pray for calm seas and full nets. 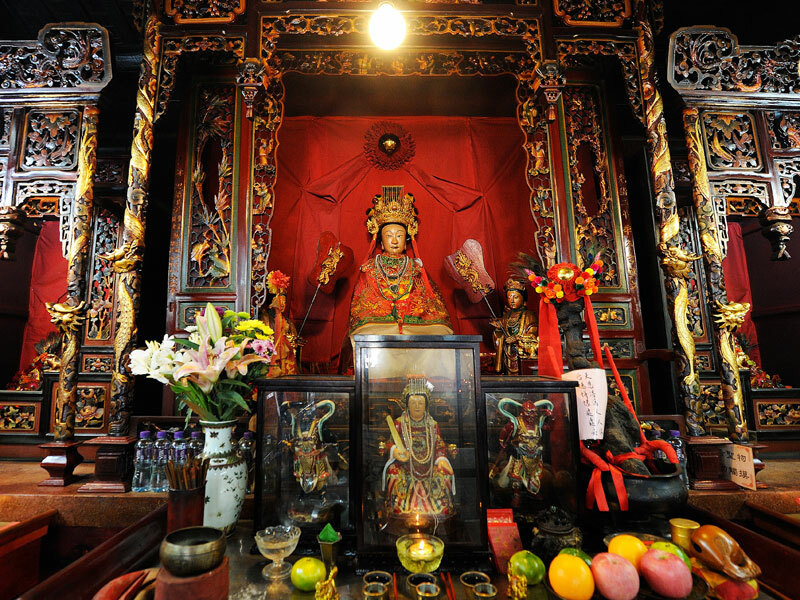 According to the inscriptions on a stone tablet, the temple was built in 1792. 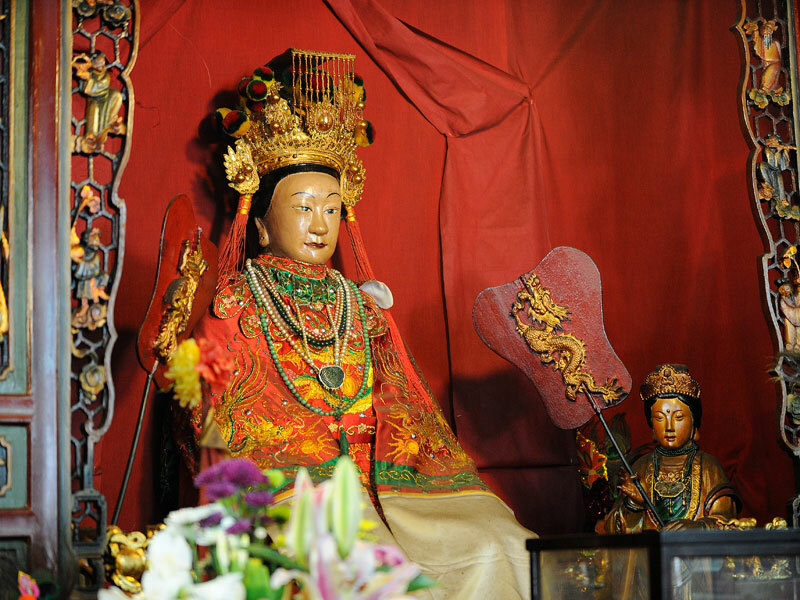 Tin Hau, also named Mazu (媽祖), was a native of Fujian Province. At the age of 13 she met a Taoist priest who taught her how to predict the future, weather and help those who were sick and weak. It was said that she travelled above the sea to save the people who were being drowned. People therefore look upon her as the goddess for safety on the sea. The rear part of the temple is constructed in the pattern of the A-shaped roof. 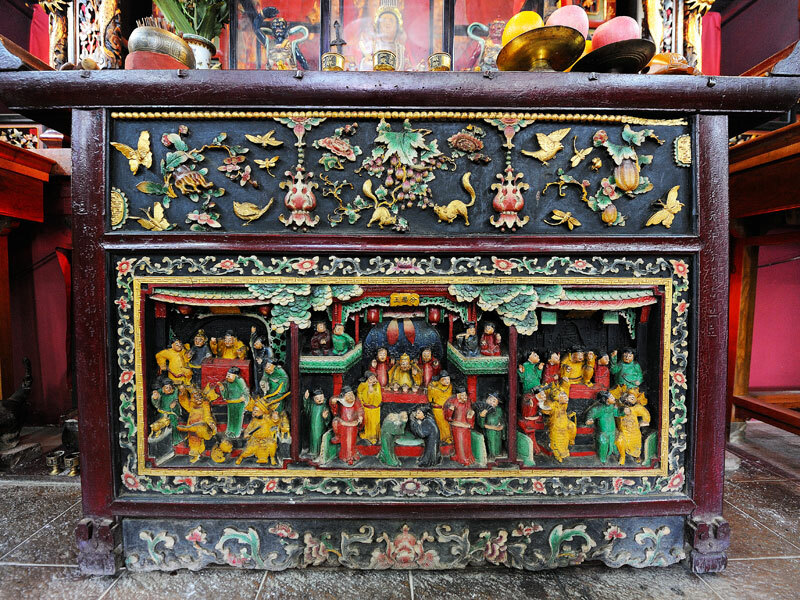 The front part is built in the shape of a Chinese Pavilion. Items of interest inside the temple include a sandalwood branch which is believed to have the power of driving away the evil; and a fish bone which measures 5 feet in length and 6 inches in width. 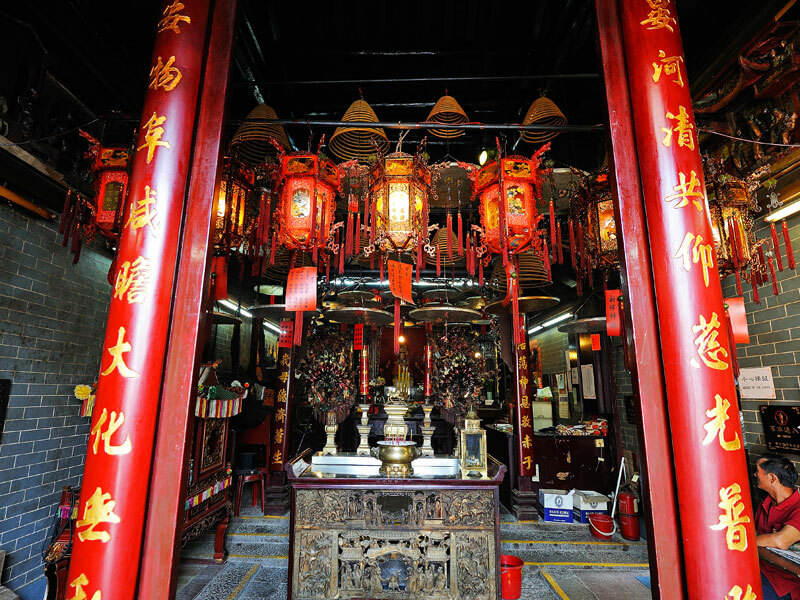 The bone is said to be a gift to Tin Hau with more than a hundred years ago by fishermen. 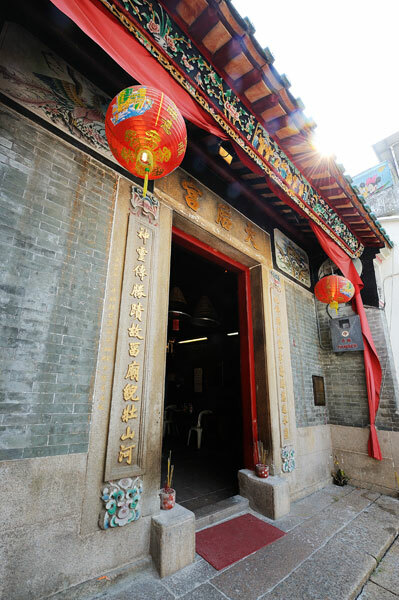 Apart from these, the temple also houses an old bell casted in 1792 and a stone tablet recorded the temple’s renovation in 1832. 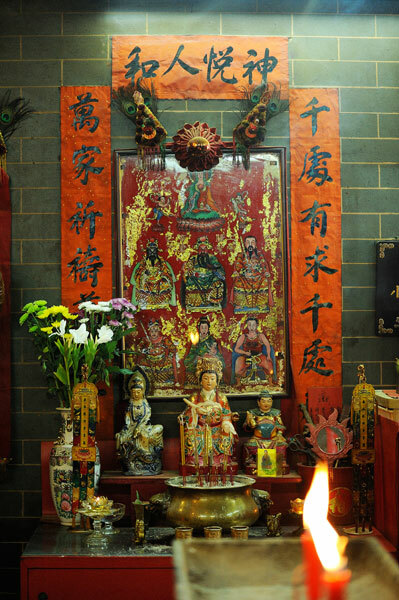 Apart from the main deity of Tin Hau, the temple also houses Hung Shing (God of South Sea) and Choi Pak Sing Kwan (a God of Wealth). 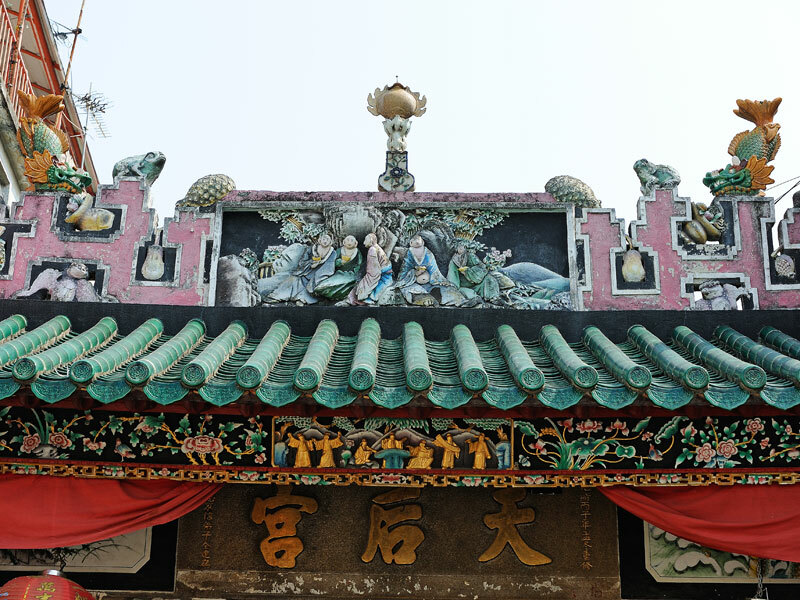 Tin Hau Festival falls on the 23rd March in Lunar Calendar where theatrical performances and parades will be organized by Peng Chau Rural Committee. Another celebration named “Parade of Tin Hau” falls on the 21st July in Lunar Calendar, which is the most popular event on the island. 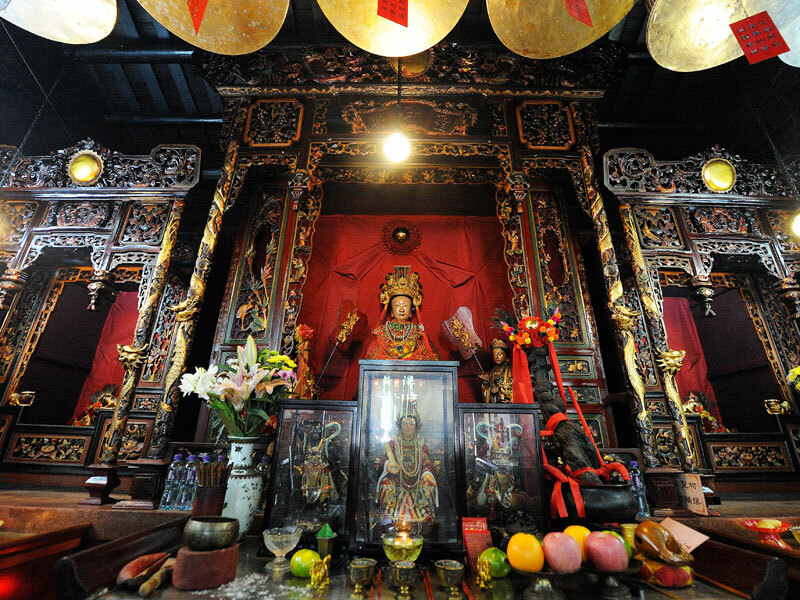 This temple underwent major renovations in 1798, 1877 and 1998. 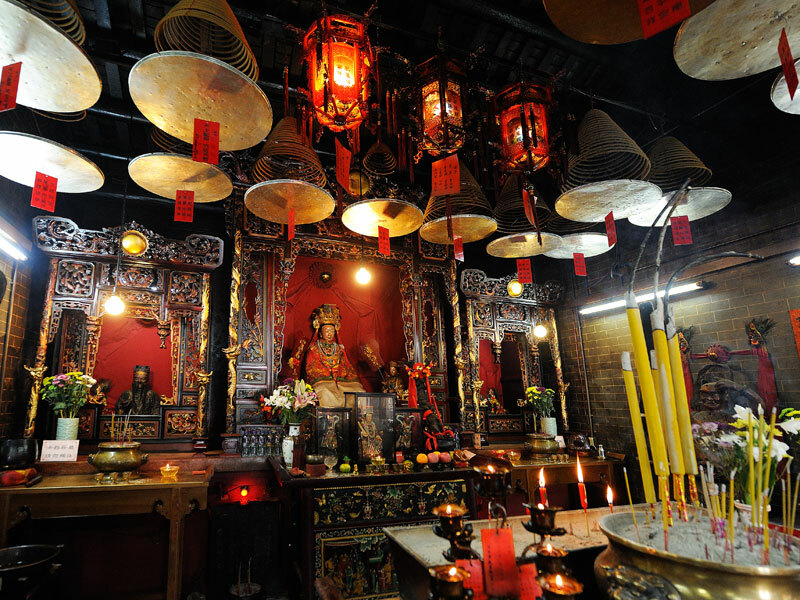 The Chinese Temples Committee has not authorized any third parties to conduct any commercial publicity, promotions or sales activities for its administered temples outside Hong Kong.